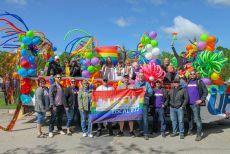 In Winnipeg, UFCW Canada Local 832 activists joined thousands of parade-goers who came out on June 3 to participate in Pride celebrations throughout the city’s core. 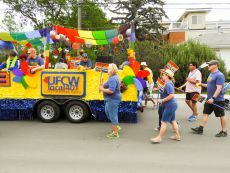 At the parade, UFCW 832 members, officers, and staff handed out UFCW 832 Pride flags to onlookers while DJ Just Ice worked the crowd spinning tunes on the Local Union’s colourful trailer. 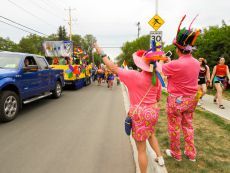 The parade served as the culmination of the city’s week-long Pride festivities, which began on May 25. 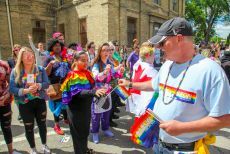 “UFCW is a proud supporter of Pride Winnipeg, as well as Pride marches in other communities throughout Manitoba, and Local 832 has a long history of being an advocate for equality and inclusion for all of its members,” says Jeff Traeger, the President of UFCW Canada Local 832. 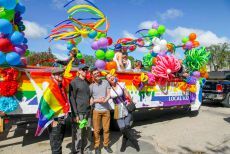 “We believe that everyone deserves a workplace free from discrimination, violence, and abuse – regardless of sexual orientation, gender, or gender identity,” he adds. 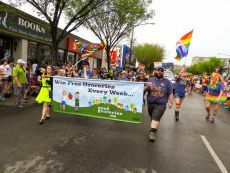 In Edmonton, UFCW Canada Local 401 activists took to the streets on June 9 in a vibrant parade that kicked off the 38th Annual Edmonton Pride Festival. 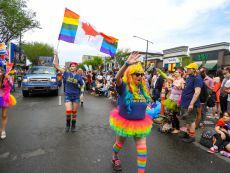 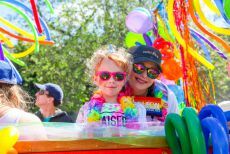 Thousands of parade-goers marched through the streets of Edmonton to celebrate the diversity and unity of the city’s LGBTQ community. 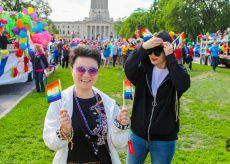 Activists also handed out t-shirts and Frisbees to participants as part of their advocacy for safe and inclusive workplaces and communities. 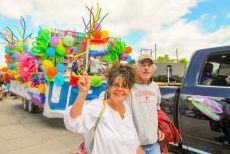 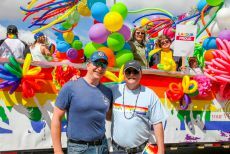 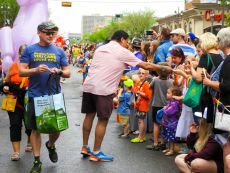 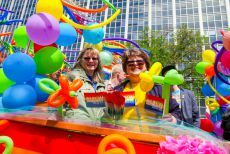 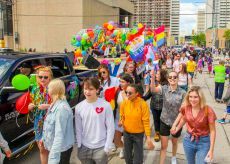 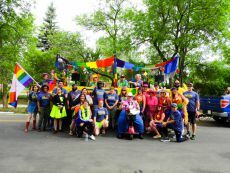 “Every year UFCW 401 members contribute to the overwhelming success of the Edmonton Pride Parade,” says Doug O’ Halloran, the President of UFCW Canada Local 401. 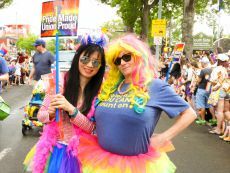 “As union activists, it is integral for us to show solidarity with the LGBTQ community by denouncing homophobia and working to stop hatred in our communities. 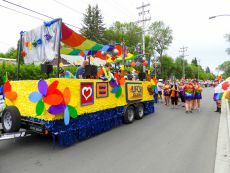 Pride, of course, plays a major role in advancing that important work, “ he adds. 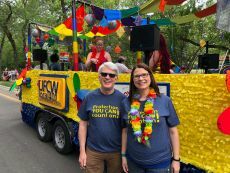 As Canada's most progressive union, UFCW Canada plays a leading role in advocating for full equality and opportunity for our LGBTQ sisters and brothers. 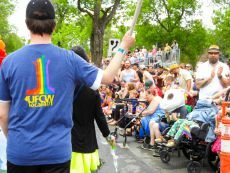 Find out more at ufcw.ca/pride.